A conversation with Luke Anthony Peña, executive director of admissions and financial aid at Tuck. "The students, faculty, and staff who thrive at Tuck are those who bring their full selves to the community," says Peña. 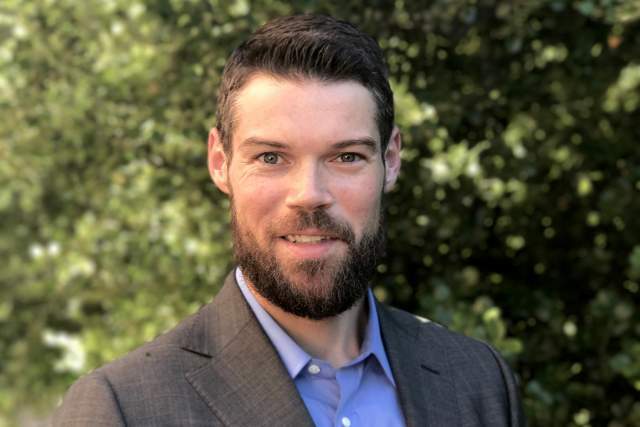 On July 18, Tuck welcomed a new executive director of admissions and financial aid, Luke Anthony Peña. 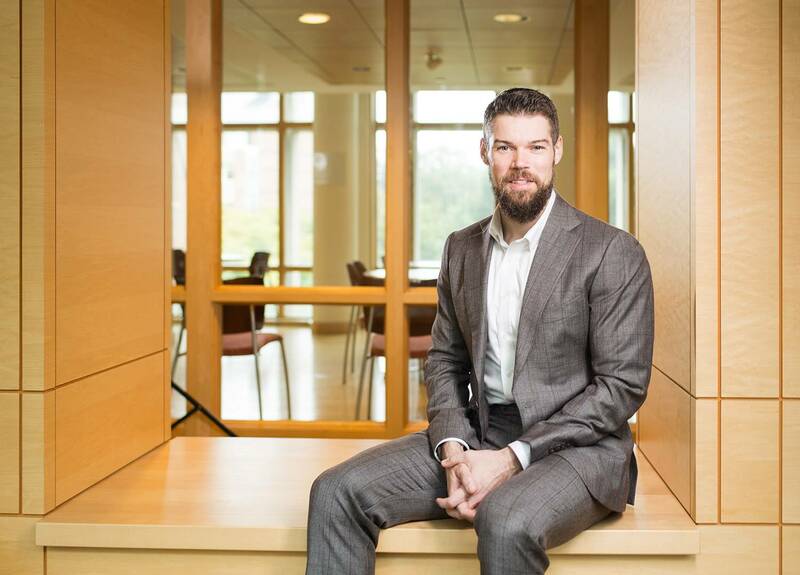 Since joining Tuck, the former director of MBA admissions at the Stanford Graduate School of Business (GSB) and GSB alumnus has been busy meeting with community members across Tuck—and he’s taking notes. In a recent interview, Peña shared how his first months at Tuck have been going, his top priorities looking at the new year ahead, and his advice for prospective applicants. Since joining us, what have been some initial impressions of Tuck and its community members? The Tuck community is genuinely enthusiastic and energized by our mission to educate wise leaders to better the world of business. Almost all organizations articulate a mission, but Tuck is among a select few that actively practice it with diligence and discipline. It’s invigorating to join a community where everyone has clear understanding and ownership of our guiding values. Tuck is the rare institution with both an appreciation for its sustained history of excellence, and a strong appetite to create the future of graduate management education. There is also a culture of deep immersion at Tuck. Everyone on campus, from the most senior faculty to the newest student, commits to investing fully in the curricular, co-curricular, and extracurricular environment. Over the next six months, what is your top priority as executive director of admissions and financial aid? Listening, listening, and more listening, with a healthy dose of learning along the way. The importance of listening and learning continues long after the first six months, but my early days are critical to deepening my alignment with our mission and values. It is imperative that, as an ambassador for Tuck, I internalize and embody our mission and values. I am listening and learning to each of the constituent groups that comprise the Tuck community, with an early focus on two in particular. I’m prioritizing good communication with my wonderful admissions and financial aid colleagues, with an emphasis on our sustained professional health and success. I’m also dedicating time and attention to our vibrant alumni community, with the intention of further animating and empowering alumni ambassadors to share their personal, connected, and transformative Tuck experiences with prospective students around the world. How do you connect the mission and vision of the school to your own work in the Admissions Office? First and foremost, I must be resolute in practicing the aptitudes of wisdom in my own behaviors. This means having confident humility about what I know and don’t know about the Tuck experience, empathy for the diverse perspectives of colleagues, students, alumni, faculty, and applicants, and judgment about when and how to iterate on our ideologies and processes. My colleagues and I are also actively integrating the mission and values into our engagements with applicants. The enhanced application now directly invites applicants to draw connections between their experiences and the mission, with an emphasis on confident humility. In our evaluation efforts, we are assessing and selecting candidates who demonstrate alignment with the mission. 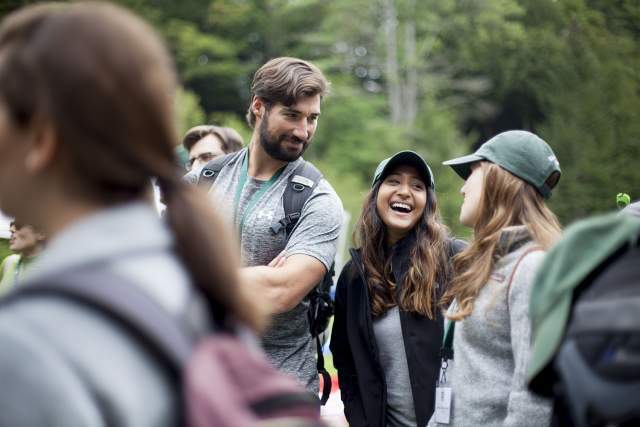 And our outreach efforts, both pre-application and post-admission, will increasingly leverage the energy and enthusiasm of alumni and student ambassadors to scale the personal, high-touch approach for which Tuck is regarded. What would you like students interested in pursuing an MBA to know about Tuck? What distinguishes Tuck? Know that Tuck’s mission is to educate wise leaders to better the world of business, and that the students who thrive in Tuck’s distinctly immersive learning community are those whose interests, behaviors, and values align with that mission. Know that no other business school offers our unique combination of scale, focus, and place. Our scale is intentional: 285 classmates, collaborators, and co-creators, all of whom will not only know you, but also challenge and support you. Our focus is the full-time, two-year MBA program, which means our focus is you. And our place in Hanover, New Hampshire offers the opportunity to fully immerse, free from distraction and disruption, so you can extract full value from your MBA experience. Know that relationships matter at Tuck, so take every opportunity to know us—and see us, if you can—as you apply. Finally, know that thriving at Tuck also means contributing to Tuck. We expect the Tuck community to make you a better leader, and we expect you to make Tuck a stronger community. Know that thriving at Tuck also means contributing to Tuck. Your best piece of advice for applying to Tuck? Be human, in every sense of the word. The students, faculty, and staff who thrive at and contribute to Tuck are those who bring their full selves to the community. We bring our strengths, talents, and abilities, as well as our deficiencies requiring growth, learning, and development. We bring our highest ideals and aspirations, our inadequacies and insecurities, and everything in between. If the successful student brings her full self to Tuck, then it follows that the successful applicant brings her full self to the application. With this context, I share two more encouragements. First, if you are feeling stress and anxiety, accept, reframe, and embrace it. My colleagues and I are committed to reducing your anxiety, not raising it. We’re accessible, we’re transparent, and we’re looking forward to innovating in ways that minimize your stress. That said, we can’t eliminate anxiety entirely. When you do feel stress and anxiety, remember that it is a natural human response reflecting your investment in the outcome. You care. You’re a better applicant for it. Second, relieve yourself of the pressure to stand out. The applicant who stands out most is the one who tries to stand out the least. I acknowledge that it’s natural to want to highlight all your strengths and downplay all your growth areas. But if you do, you’re only revealing a portion of the complete person who will show up at Tuck, and my colleagues and I find ourselves wondering about the rest of you. Remember that confident humility means taking ownership of your strengths as well as your growth areas. Show us you’re aware of both, and we’ll show you the way to Tuck. Peña’s selection followed a comprehensive, three-month search. The class of 2019 is a talented group of dynamic students who will thrive in Tuck’s trust-based learning community.